Cpl. Henry A. Brown, son of Mr. and Mrs. Joseph S. Brown, attended schoool in Ardmore; husband of Ruby Brown. 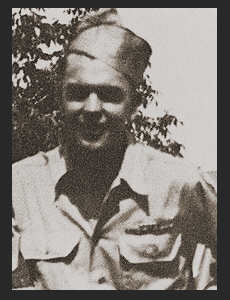 Entered the Army in 1940, trained in Ft. Ord, Cal. ; served in England, France, Germany, Holland. Awarded Good Conduct Medal, ETO Ribbon.